The Trees Have Arrived!Treephilly The Trees Have Arrived! The yard trees have arrived at the nursery and we are busy getting ready to distribute them at the eight up coming Yard Tree Giveaway events all over the city! If you didn’t get a chance to pre-register for the giveaway, you can still get up to two free yard trees per address by coming to the events as a walk-in participant. Just find your zip code in the list below and please only come to the event you are assigned to (so we have enough trees for everyone). Walk-in participants will be able to get a tree only in the second hour of the event. We will be doing another tree giveaway next spring so if you can’t make it the the events this fall please sign up again for the spring giveaway! 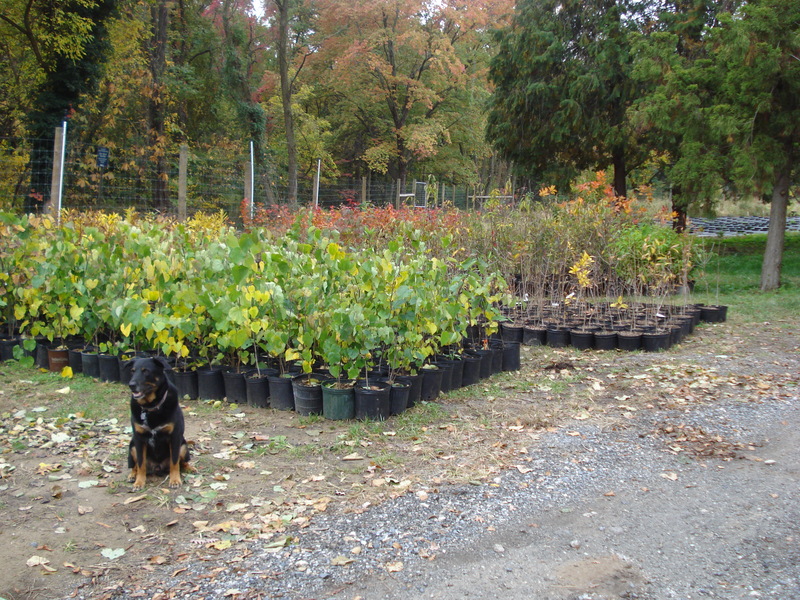 Our nursery guard dog, Byrd, watches over the trees as they wait to be distributed to new owners!